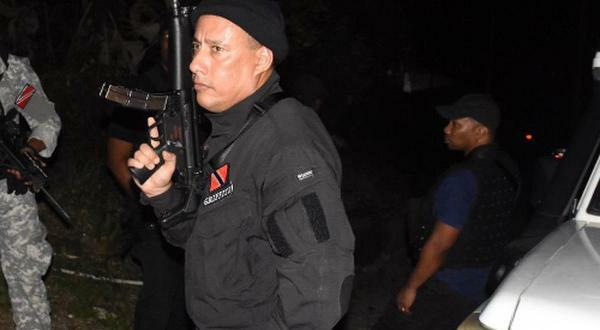 Strongman Cameron leaves Herculean challenge: how soon can Skerritt and Shallow clean CWI’s stink stables? 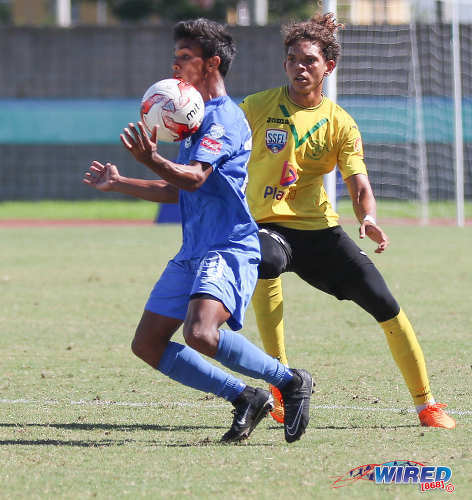 Mark Ramdeen, a Lower Six Form student at Naparima College, stands at five foot two and splits his focus this term between his school’s Secondary Schools Football League (SSFL) Premier Division title chase and Trinidad and Tobago’s push for a Poland 2019 Under-20 World Cup place. 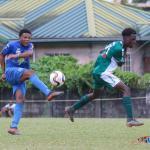 Photo: Naparima College midfielder Mark Ramdeen takes a crack at goal during Coca Cola Intercol South Zone quarterfinal action against Pleasantville Secondary at the Mannie Ramjohn Stadium on 10 November 2017. How did you get into football? I do not come from a football background. I began playing at age 10 in my hometown with my friends; and on seeing how talented I was at such a young age, my brothers Nicholas, Jason, Ryan and Kerry—along with my cousins and friends—talked my parents into [enrolling] me to a club. They gave in and I joined Cox Coaching School. I played with Palo Seco Secondary School for two years where the Shiva Boys Hindu College coach recognised my talents. Later on, I joined W Connection and this is my fourth year with them. Then I joined ‘Naps’ and this is where I am today. 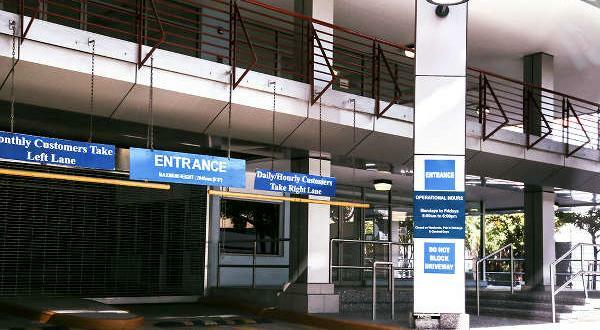 I have one brother who played with St Benedict’s College and Shiva Boys in the past when he used to go to school. What makes you stand out as a player? I’ll have to say my dribbling skills. I stand out on my team because of my creativity. 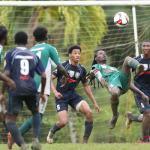 Photo: Naparima College attacker Mark Ramdeen (centre) dribbles past a Trinity College Moka opponent during SSFL Premier Division action on 21 September 2016 at Moka. Who was your most important coach and why? I’ll have to say coach Ken Elie of Trinity(Moka). I met him with the National Under-15 Team [where he was head coach]. From the age of 15, I came into contact with him and he trained us in a professional way, preparing us for the bigger leagues at that early age. He boosted my knowledge about football, which had a big impact on me. 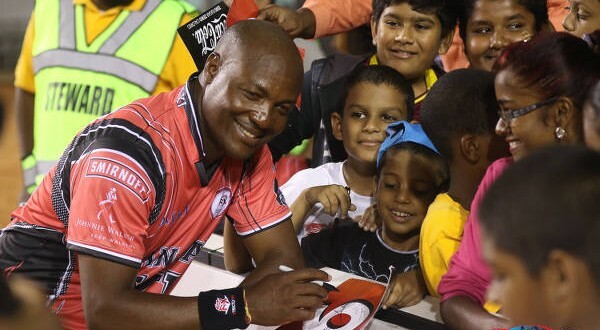 Who is your favourite player? Cristiano Ronaldo. He is very hardworking and inspiring to me. What is your favourite team? What do you enjoy doing in your free time? Personal training in football and ‘sweating’ with friends in my community. How would you describe yourself as a person? I am very shy and very quiet. Sometimes I’ll be a bit wild with my friends but most times I’m just quiet. I don’t give trouble at school. (He laughs). 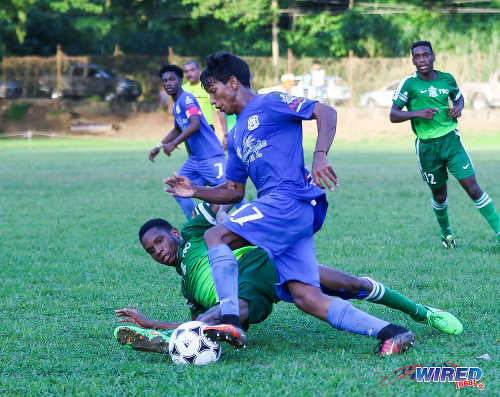 Photo: Naparima College attacker Mark Ramdeen (left) takes on St Benedict’s College full back Mickel Ravello during 2017 South Zone Intercol action. What do you hope to do when you finish school? I’ll like to play pro [football]. But if not, I’ll like to attend Stony Brook [University in New York] to pursue Sports Management or Physiotherapy. Back in Barranquilla [at the 2018 CAC Games], I met someone who told me about Stony Brook… and how good it is; and I realised what he told me was what I wanted to do. We keep in contact from time to time. What would be success for you as a player? Becoming a pro player and being recognised as one of the star players. I want to play international football. What was your best moment in football so far? Playing against Colombia in the CAC games in Barranquilla in July of this year. That was the best thing to happen to me thus far in my football career, although we lost 5-1. The first year I came into Naps, I did not start off too well in the team. I had doubts about being the best player on the team, which I wanted to be. Now, I feel like I have sort of achieved that. 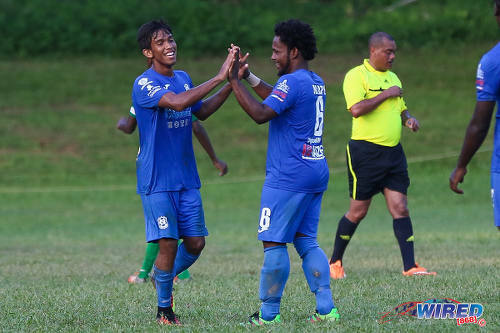 Photo: Naparima College goal scorer Mark Ramdeen (left) is congratulated by midfielder Judah St Louis during SSFL Premier Division action against Trinity College Moka on 21 September 2016 at Moka. What is your target for the season? This season I would like to be one of the best attackers, top goal scorer and most creative player [in the Premier Division]. To be more specific, I want to be a complete attacker. 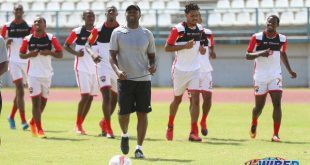 Editor’s Note: Mark Ramdeen and the Trinidad and Tobago National Under-20 Team open their Poland 2019 Under-20 World Cup campaign on 1 November against St Vincent and the Grenadines in Florida. “Anything is possible through God,” is my favourite quote. 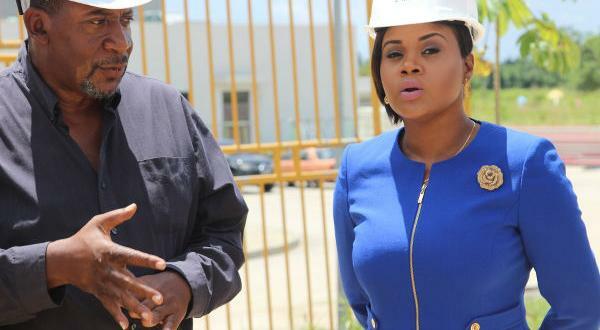 I am Cindy Roopnarine, student at COSTAATT, currently pursuing a BA in Mass Communication, and soon to be a graduate. I hail from the South Eastern district, where the sun rises and the sea touches the sky. Previous Dear Editor: Can we afford to continue ignoring global warming?